13 HOT TRENDS FOR THIS SUMMER 2013!! Summer is just around the corner, and as the days go by, we feel the need of wearing less and less clothes. Temperatures are rising and our models from last season are starting to annoy us… The good thing is that once again you have the chance to challenge yourself and let the fashionista inside you feel free to create and play with all the cool stuff trending for this summer. Graphic Prints (fruits, geometric, flowers, animal print): Bold shapes and even bolder color combinations are the order of the day this summer. Graphic prints, slogan shirts and color clashing are a sure fire way to brighten up even the dullest grey day. Jumbo Size Stripes: The bigger the better, that’s the statement for this summer trend. You can see them everywhere and almost in every color, but black and white is the most popular combination. Dare to wear them on your pants, your blouse, your hat, your blazer, wherever you like. Monochrome: You can't go wrong wearing black and white this season as monochrome rules the runway in almost every trend. 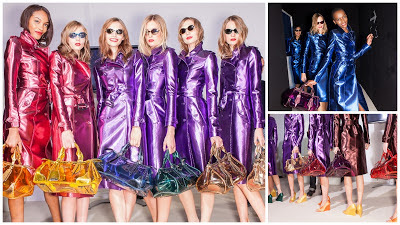 Sheen Queen: Metallic is a hard trend to nail, but I think if you're going to sheen then you should go all out. 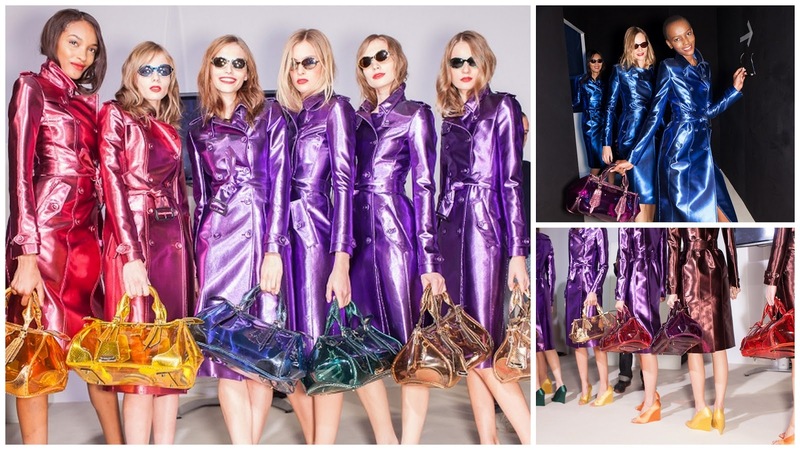 Have you seen Burberry’s Spring/Summer Collection? It has it all!! Sixties Wink: The sixties are still providing a host of inspiration for designers bringing back some classic shapes of that decade. Try on some sixties inspired dresses and look girlier than ever. Neon Brights: This one arrived last year, but we loved it so much that it’s still a trend for this summer. Total White: This is a summer classic that never goes old-fashioned. It’s classy, is elegant, is fresh and it looks great! Tie the Knot: Completely change your look by doing something as simple as tying the knot of your shirt. It can turn your boring work outfit into a happy hour fun without changing your clothes. Retro Swimwear: Go back to the days when less was more, and leaving nothing to the imagination was frowned upon. Try out these new swimsuits styles that will make you feel like the princess of the seas. Denim Shirts: This trend is hotter than ever. You can try denim over denim, as long as the washes are different. Wear it with soft maxi and floral skirts, a crazy pair of leggings, a blazer, etc. Consider it as your next wardrobe investment as this is one piece in your closet that will never go out of style. 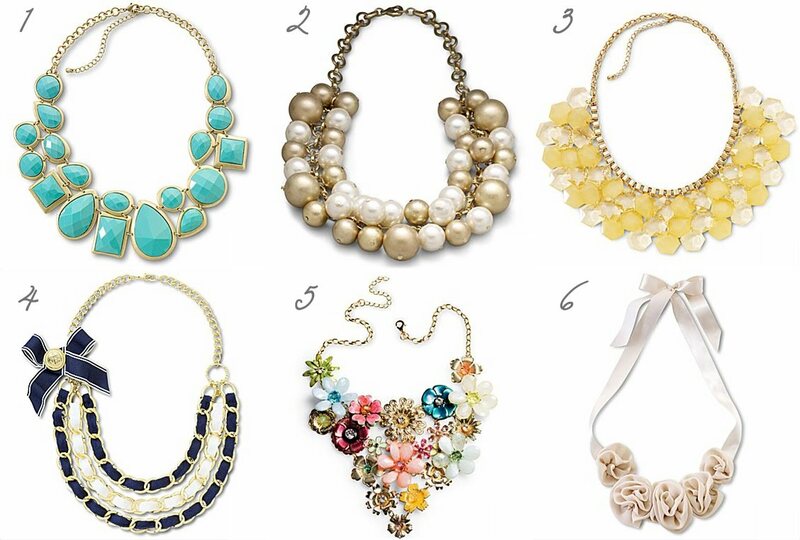 Statement Necklaces: The cool thing about these accessories is that they go with everything, yes, everything!! Even if you’re wearing some short jeans and t-shirt, you can throw on a statement necklace and voila! Chic Casual style it is (or sort of…)! Ombré Hair: Whether you’re blond, brunette or redheaded, this will look good on you. The idea of this style is to achieve a surfer look; roots remain dark while the rest of the hair becomes lighter mid-shaft. Make sure you get them done by a professional (specially if you’re a brunette), and prepare yourself to catch a wave of glances. 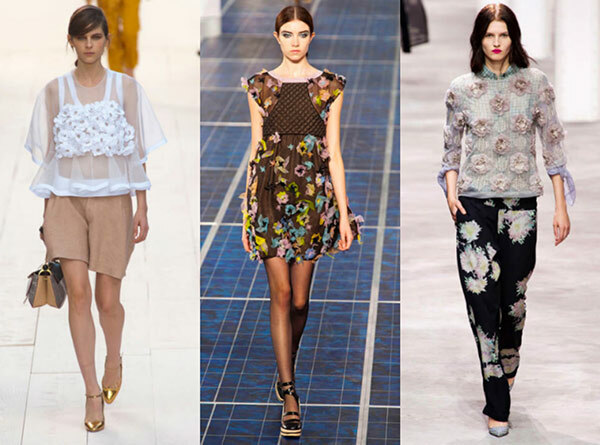 Hope you all enjoy this summer and forget about wearing black and gray boring clothes, fashion is full of colors!! Remember, dress wisely, you only have one chance for that first impression.